The Admiralty has officially informed the parents of Ordinary Seaman Leslie Albert Weate that he must now be presumed killed on November 24th. On December 12th, it was announced that he was ‘missing while on war service’. 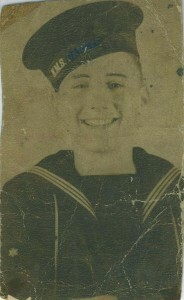 Ordinary Seaman Weate was the eldest son of Mr & Mrs Fred Weate of Horninglow Street and attended Holy Trinity and Guild Street Schools.He was employed by Bailey’s (confectioners), Ltd, at the time he volunteered for the Navy before war broke out. His only ship was the ill-fated Dunedin, a light cruiser. He was 18 on November 5th last.